In this article, we highlight the 19 best online schools for a business associate’s degree in 2016-2017. Earning an associate’s degree in business lays the foundation for entry into various business careers and admission into bachelor’s in business administration programs. In fact, an associate’s degree in business acts as a springboard to business jobs and higher education. U.S. News and World Report indicates that over 3.8 million business jobs may open up in the United States in coming years. Due to this expected job growth, some of the best business schools in the country are now offering online degree options to assist busy students with their educational needs. Whether a student wants to advance their current career or begin a new one, an associate’s degree in business can provide the foundation needed to become a successful businessperson. We created a ranking designed to help identify the top institutions offering online business associate’s degrees. The data for this list was obtained from NCES College Navigator. Collected information included the percentage of applicants admitted, graduate rate, overall cost, and student-to-faculty ratio. From our pool of 210 schools, we selected the 19 best online institutions for associate’s degrees in business or business administration. In the event of a tie, we awarded a higher ranking to the school with the lower net cost. 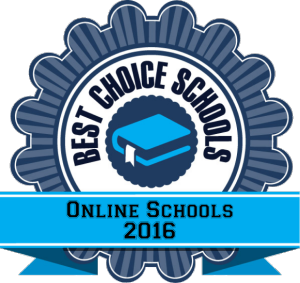 Below is our list for the 19 best online schools for a business associate’s degree in 2016-2017. Colorado Technical University offers an ACBSP-accredited online associate’s in business degree program. Colorado Technical University is among the best online schools for business associate’s degree programs due to the low cost of tuition and ACBSP accreditation. ACBSP is the leading global business accreditation for business schools and programs. Students enrolled in the online business associate’s degree are ensured that the curriculum meets the standards required by this governing body. The associate’s degree program is offered entirely online and is designed to lay the foundation required for entry into a BBA program. Core business courses include accounting, business law, introduction to marketing, management fundamentals, and spreadsheet applications. Helpful mentoring is offered by academic advisors to assist students who wish to continue their business education after earning an associate’s degree. Florida Tech’s online AA in business may be completed in just 20 months! One of our top online schools for business associate’s degree programs is the Florida Institute of Technology. The program is designed for those who want to take the first step into the business world, offering a foundation of skills found useful in various business environments. The program is also designed to prepare students with the knowledge needed to pursue a bachelor’s in business degree. The program is delivered entirely online with courses in global business, principles of accounting, principles of management, and statistics. Depending on completed credits, students may graduate with an AA in business administration in just 20 months. Florida Tech has received rankings from major publications like U.S. News and World Report and is an accredited institution. From associate’s in business to MBA programs, Southern New Hampshire University’s business degrees are offered online. One of the best online business schools for an associate’s in business administration degree is the accredited Southern New Hampshire University. The program is offered entirely online and designed to expose students to accounting, business law, human resources, and marketing disciplines. Individuals interested in a bachelor’s in business degree find that the associate’s in business administration lays the foundation for such pursuits. In fact, core courses include topics in applied statistics, human relations administration, introduction to marketing, managerial accounting, and principles of management. Once the associate’s degree is earned, students have the option of entering the workforce or enrolling in the online BS in business administration at SNHU. The online bachelor’s degree program offers five areas of concentration and is designed to equip students with the skills needed to pursue one of the 50 specialized MBA programs at the university. New England College’s online AA in business is regionally accredited. Recognized as one of the top online business schools for those pursuing an AA in business administration, New England College is a regionally accredited institution and ranked college. In fact, U.S. News and World Report ranks the school as one of the best regional universities in the North. New England College’s associate’s degree in business administration program is designed to equip students with the knowledge and skills needed to successfully enter any business field. Core competencies in business, financial accounting, and marketing are covered. Students may take advantage of the small class sizes to forge relationships with peers and instructors, while learning at an accelerated pace to speed up their completion date. Bay State College’s online business associate’s degree program offers small class sizes. One of the best online schools for business associate’s degree programs is Bay State College, a regionally ranked and accredited institution. What makes Bay State one of the top business schools online for an associate’s in business administration is the quality of instruction and low student-to-faculty ratio. Online classes are taught by the same professors who teach on campus. Online business courses include introduction to business, macroeconomics, principles of marketing, and writing for business. These courses help to lay the foundation for entry into various business fields or a bachelor’s in business program. According to the program website, business associate’s degree candidates have gone on to work as insurance sales agents, managers in offices, and sales representatives. Independence University’s online business programs are ACCSC-accredited. Independence University is one of our top picks for online business schools. Students have four associate degrees in business to choose from – AAS in business management and accounting, AAS in business management and accounting with asset management emphasis, AAS in business management with event planning emphasis, and the AAS in accounting with retail sales management. All programs prepare students with the entry-level skills needed for employment or bachelor’s degree business programs. In fact, the school offers numerous online bachelor’s in business degree programs and two master’s in business options. The school and its business programs are accredited by the Accrediting Commission of Career Schools and Colleges (ACCSC), a nationally recognized accrediting body. The associate’s in business degree from Liberty University is a stepping stone for an online bachelor’s in business. Liberty University is one of the best online business schools on our list. It offers an accredited associate’s in business degree program that may serve as a stepping-stone toward earning an online bachelor’s in business degree. The program is entirely online and explores courses in business law, business communications, financial accounting, intermediate business computer applications, and principles of management. Liberty is a Christian college and models biblical perspectives. Students are required to take nine credits of Christian life and thought courses that include biblical literature and contemporary worldviews. With a low student-to-faculty ratio and comprehensive business programs, Liberty University is among our top business schools online. Virginia College’s online associate in business degree program is designed for motivated individuals. One of our top online schools for business associate’s degree programs is Virginia College. The school welcomes motivated students who are looking for a practical and career-oriented business education that prepares them for entry-level jobs or entry into a BBA program. Courses are delivered entirely online and taught by the same instructors who teach at the school’s various campuses. Required courses explore select areas of business, including business communication, finance, management, marketing, and project planning. For those interested in ongoing education, the school offers online bachelor’s and master’s degree programs in business administration. Several business-related certificates are also available. Kaplan’s online associate’s in business degree program offers 11 specializations, like entrepreneurship and retail management. Kaplan University lands a spot on our list for top online business schools for an associate’s degree. The school is nationally accredited and ranked by U.S. News and World Report as having one of the best online bachelor’s programs in the nation. This ranking is valuable to those interested in continuing their business education online. The online AAS in business administration program is designed to help students develop skills in accounting, business, management, and software applications. Students explore decision-making techniques and learn how to problem solve when faced with business-related challenges. Also, students have the choice to specialize their business degree in an area of interest. Eleven specializations are available, including business, customer service, entrepreneurship, meeting and event planning, retail management, and small business management. The online AABA degree from American Intercontinental can be completed in just 18 months! American Intercontinental University is a proprietary institution that has received ACBSP accreditation and recognition from major publications like U.S. News and World Report. The institution also grabs a top spot on our best online business schools. Students may earn an associate of business administration (AABA) degree in just 18 months. The degree is designed to prepare students for entry into one of the school’s online bachelor’s in business programs or an entry-level career. Online business courses include applied business mathematics, introduction to business, legal and ethical environment of business, principles of accounting, and principles of marketing. For those interested in an online bachelor’s degree, the school is ranked in the most recent edition of Best Colleges as having the 30th best online bachelor’s programs in the nation. Grantham University’s business associate’s degrees are offered entirely online. Active duty military, military personnel, military spouses, veterans, and those interested in earning an associate’s degree from one of the top online schools for business associate’s degrees, turn to the accredited business program at Grantham University. Through 100% online courses, students learn the basics of business. Online classes explore topics in business law, foundations of marketing, personal finance, principles of business management, and strategies for decision-making. Also, students who desire to pursue an online bachelor’s in business degree may do so at Grantham. In fact, the associate’s degree is designed to equip students with the skills needed to conveniently transition into the online BBA program. Grantham is listed in our #10 spot for top online business schools to earn an associate’s in business degree. 61 credits are required to complete American Public University’s online business associate’s degree. One of the top online business schools for an ACBSP-accredited associate’s degree is found at the American Military University – American Public University System. The program requires 61 credits, which may be used toward the completion of a bachelor’s in business administration degree or related business program. Online business courses include accounting, applied business solutions, basic productivity applications, basics of business, fundamentals of marketing, and principles of supervision. Students learn how to effectively write and communicate in the business world while acquiring leadership techniques that will help them secure supervisory roles. For individuals interested in continuing their education, the program prepares students for entry into a business bachelor’s degree program. In fact, the school’s online bachelor’s programs are ranked by U.S. News and World Report as the 58th best online bachelor’s programs in the nation. Penn State is one of the best online schools to earn a business associate’s degree. One of the top-ranked online business schools to earn all degree levels is Pennsylvania State University. The school’s global campus offers an accredited associate’s in business administration that may be completed entirely online. While enrolled in the program, students explore courses in business and professional communication, effective business writing, elementary statistics, industrial relations, personal selling, and small group communication. The program is designed to act as a stand-alone degree or stepping stone into a bachelor’s of business program. With the help of academic advisors, students may apply their earned credit toward the bachelor’s of business degree requirements. Whether you’re looking for a career change or are an entry-level professional who wants to learn more about the business world, Penn State offers flexible options to assist with career-building goals. Saint Leo’s online business associate’s degree programs offer small class sizes and a 15:1 student-to-faculty ratio. Saint Leo University is among our best online business schools for those interested in pursuing an AA in business administration. The degree program is accredited by the International Assembly for Collegiate Business Education (IACBE) and designed to expose students to a wide-range of business-related courses. Twenty-four business administration credits are required and include courses in business law, principles of accounting, principles of management, principles of marketing, and professional development. Saint Leo’s low student-to-faculty ratio of 15:1 combined with small class sizes helps the institution land a top spot on our list of the best business schools online for an associate’s in business degree. Get a liberal arts education through Notre Dame College’s online business associate’s degree program. One of the top online business schools for an associate’s in business administration degree is Notre Dame College. The school is accredited by the North Central Association of Colleges and Schools and the business program offers courses taught by full-time expert faculty. All courses are delivered online and are designed to equip students for entry-level careers in business. Courses explore topics in business law, management, marketing, and principles of accounting. The program follows a liberal arts tradition and helps prepare students to evaluate critical issues in business, as well as other fields. 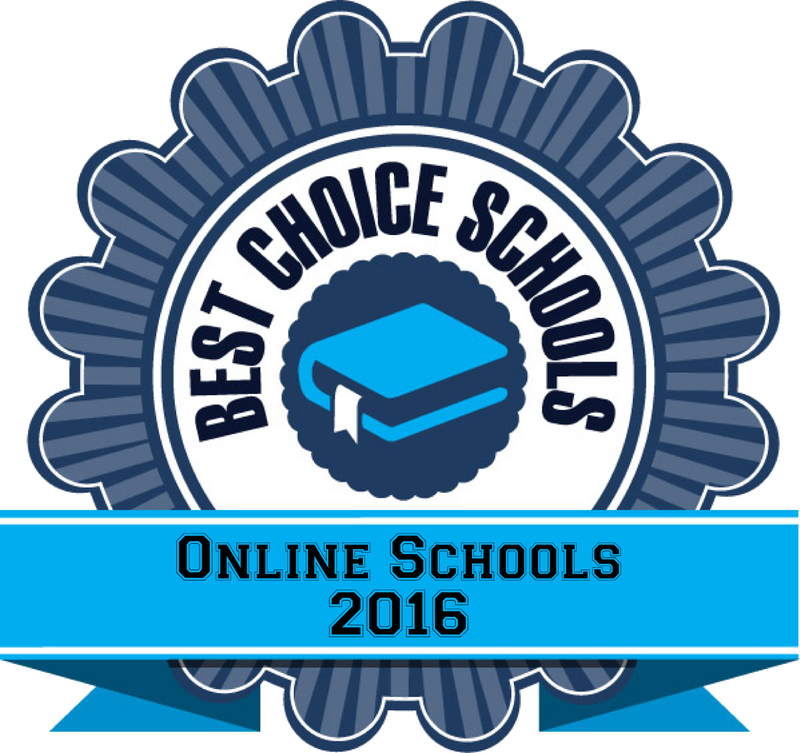 Notre Dame College is one of our top picks for business schools online. Career planning and job placement assistance are offered through Santa Barbara Business College’s online business associate’s degree program. Santa Barbara Business College is one of our top selections for business schools online that offers online associate’s degrees in business administration. The program may be completed entirely online and offers classes that explore topics in consumer behavior and economics, financial accounting, introduction to business, payroll accounting, and professional resource development. The program also covers popular business software and advanced computer skills so that upon graduation, students may integrate their computer knowledge into their business administration career. Career planning assistance and job placement help are available through the school’s career center. Students are matched with a mentor who is available to assist with career planning before and after graduation. Santa Barbara Business College is one of our top picks for best online business schools to earn a business associate’s degree. The same faculty who teach on campus deliver online instruction for the business associate’s degree program at Campbellsville University. Campbellsville University is listed among our top online business schools for offering an affordable and flexible online associate’s in business administration degree. The program is comprised of 30 semester hours of business courses that cover topics in accounting, introduction to finance, macroeconomics, and principles of economics. Students explore business practices and management skills commonly used in business administration. Courses are taught by the same faculty members who teach on campus and the program is designed to prepare students for entry-level employment or entry into a business administration bachelor’s program. The school is ranked by U.S. News and World Report as a best regional university in the South. For those interested in pursuing graduate business education, Campbellsville University has the 72nd best online MBA program in the country. Belhaven’s online business associates degree may be completed in two years. Belhaven University is among our best online business schools for business associate’s degrees. The Christian university focuses on building a solid business foundation so that students may seamlessly transition into a bachelor’s or master’s in business degree program. The online associate’s in business degree may be completed in two years and is a 62 credit hour program that offers courses on an eight-week format. Required online business courses include business communications, business computer applications, introduction to marketing, and principles of management. Belhaven’s business programs are accredited and ranked by major publications. For those interested in pursuing a bachelor’s in business online, the school’s online bachelor’s programs are ranked #212 in the nation. Thomas Edison State College’s online AA in business degree program offers a seamless transition into the online BBA program. Thomas Edison State College is our top pick for online schools for business associate’s degree programs. The 60-credit online program is designed to prepare students for a seamless transition into a BBA degree program. The program requires general education courses along with an eighteen-credit management core. The management courses include business law, computer concepts and applications, financial accounting, managerial accounting, and principles of management. Students may also take six credits of business electives in specific areas of interest. For those interested in a continued business education, the school offers an online bachelor’s in business that is ranked by major publications like U.S. News and World Report. This concludes our ranking of the 20 best online schools for a business associate’s degree in 2016-2017.